The Department of Homeland Security Cybersecurity and Infrastructure Security Agency is seeking network, data and access management capabilities to support its new approach to continuous diagnostics and mitigation, Government CIO Media reported Thursday. The Department of Homeland Security will deploy a new algorithm built to monitor system vulnerabilities and baseline configuration settings across the federal government to give an agency an overall rating on its cyber hygiene, Nextgov reported Wednesday. The head of the Department of Homeland Security’s Continuous Diagnostics and Mitigation Program has said that the CDM team seeks to collaborate with client federal agencies to determine cybersecurity solutions appropriate to their unique organizational requirements. CDM Program Manager Kevin Cox told Federal News Network in a recent interview that “we want to make sure we are working with the agencies to understand” what they need to strengthen their systems and networks against cyber threats and “in the long run meet those requirements,” Federal News Network reported Wednesday. The Department of Homeland Security aims to develop an approach for government chief information security officers to assign and compare risk scores to agency networks, Federal News Network reported Friday. The 2019 FISMA guidance now requires federal organizations to submit a justification memorandum to procure monitoring products and services not covered under CDM contracts. 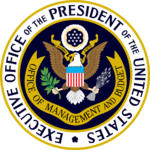 The justification document must be sent to the CDM program management office, OMB resource management office and the Federal Chief Information Officer’s cybersecurity team. OMB has also permitted the use of existing resources that align with CDM requirements but are not acquired through General Services Administration contracts. The Office of Management and Budget has issued an updated guidance that outlines new Continuous Diagnostics and Mitigation program requirements for agencies to comply with the Federal Information Security Modernization Act of 2014, FedScoop reported Friday. The memo now directs agencies to submit justification should they choose to buy continuous monitoring tools and capabilities outside of the General Services Administration’s IT Schedule 70 CDM tools special item number, CDM Dynamic and Evolving Federal Enterprise Network Defense and other contract vehicles. The House of Representatives has unanimously passed a bill that would support the development of the Department of Homeland Security's Continuous Diagnostics and Mitigation program. The Advancing Cybersecurity Diagnostics and Mitigation Act would require the government to develop procedures for systemic cybersecurity risk reporting, regularly deploy new technologies and implement a strategy to grow the program, Rep. John Ratcliffe, R-Texas' office said Tuesday. The Department of Homeland Security's Continuous Diagnostics and Mitigation program team looks to implement mobile device monitoring approaches in an effort to help federal agencies identify and address security incidents, GCN reported Thursday. The Department of Homeland Security is developing a system that will alert federal agencies of cybersecurity risks and recommend resources to respond to attacks, MeriTalk reported Wednesday.